We are sharing the love today with some sweet treats. 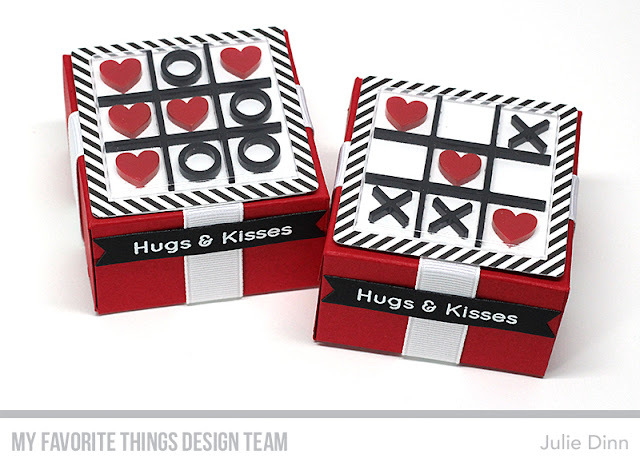 We've paired up Valentines' treats with the fabulous Tic Tac Toe line of products. 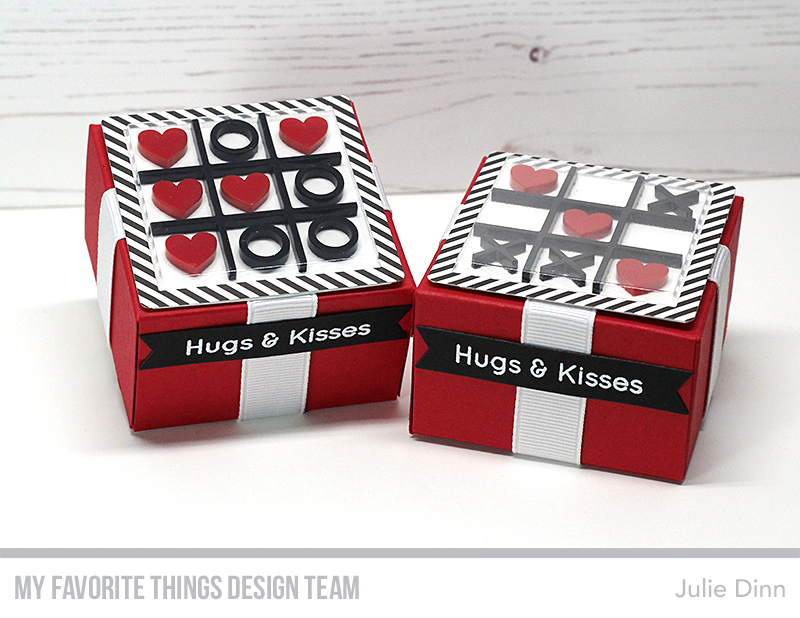 I couldn't resist making a few candy filled boxes. I created the boxes from a sheet of 8.5" x 5 1/2" card stock. 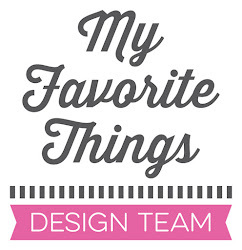 I scored the card stock at 1.5", 4" on the short side, and at 1.5", 4", 5.5", and 8". The Tic Tac Toe shakers fit perfectly on the top of the box. The sentiment is from the X's and O's stamp set.